Favorite SWG Template and why? Thread: Favorite SWG Template and why? Tk Master, Rifle Master, Fencer 4040 (I think?). Then after Jedis hit big I rolled TK Master, Brawler Master, Swords Master, Fencer 3040 (I think...). Invincible. I was planning a TKA + BH build for SWGemu. Think I had some pistoleer or something too. Point is, TKA + BH with just enough points for boosted defense from KD/Dizzy, etc. But then I don't think I'll bother with emu, and if I do, probably only after the new "stable" release with no character wipes. before they nerfed this in like the first 3-4 months you could use a linger pistol to spam all of the pistol shots. LD at 64 meters was some funny stuff. I absolutely loved this Pistol template back in the day, I think it is almost exactly what I used, but its hard to make the templates we all used to love work in pvp correctly on Emu. Until the code is working it comes down to the Fotm that is effective at the time of the current patch. - TKM, Doc/CM With Famine's Poisons and a high dmg VK- This was a Jedi Killing template towards the end of pre-cu. 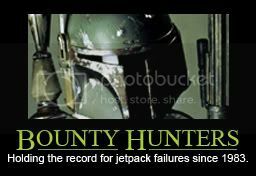 Highly effective for depleting force and great against non-jedi also. TKM is such a balanced class and if you have some badass poisons you are set. - MCH / 0040 Commando This was my most enjoyed template. I used this early in my SWG time. Dual Graul Maulers and a flamethrower against players that hardly knew the game mechanics or what kind of armor they should be wearing was great. Bestine vs. Anchorhead battles were so epic. Good times. Best part of the game is the almost infinite combinations of templates you can put together. lol, not from wander home...i'm from Ahazi. Came across this thread while googling best pvp template for swgemu. anyways, you guys talked about fencer/pistoleer stack and rifle/CM....i'm talking about the early days of Pre-CU like the first 4 months of the game and before SWG fixed dodge and before Comp armor got buffed there was one godly template- pistols/BH/smuggler. btw, everyone in SWGemu is some sort of a dodge stacker. you'll get owned being anything else. some of us are on the emu too and the best pvp template is not really dodge stacker. they are emulating 14.1 but they fixed all the dodge stacking early on around pub 7. best template right now for group pvp would be rifles/doctor on the emu. 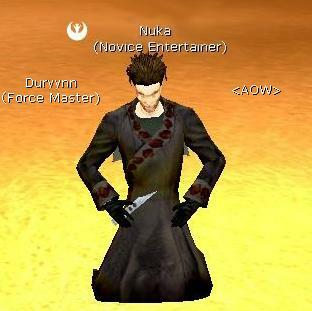 One of the best things about SWG was that your template would be different depending on what was happening on the server. For example, when I first started PvPing, CM's destroyed everybody, people got fed up with that and started adding Doc to their temps, then people went back to TKM/Fencer stacking to better CC the people who rolled doc and so on. Very much a flavour of the month thing.